With so much more to love in terms of the physical body, a great sense of security, ability to get along with absolutely everyone, an unparalleled endurance, and the ease of training; there’s no reason to not love a large breed dog! 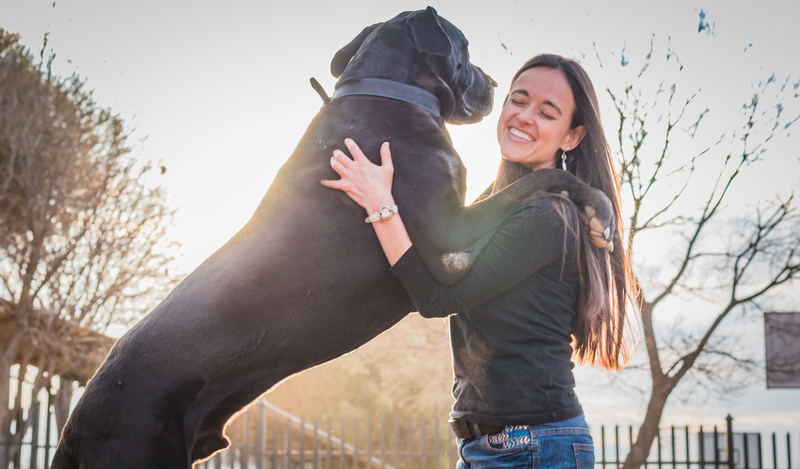 However, like all things, large breed dogs too have their fair share of pros and cons, their size being the biggest factor that contributes to their overall health. The large size makes them vulnerable to several conditions, albeit nothing to worry about if tended to with love and care. Here we list down the five most common conditions that even the healthiest dog breeds are prone to pertaining to their large size. What exactly is Hip Dysplasia? To put it simply, it is an abnormal formation of the hip socket. If not treated at the right time, it further marks a gateway of problems including painful arthritis an even crippling lameness! Hip dysplasia is one condition that most large breed dogs are susceptible to. While their smaller counterparts can be counted among dog breeds without hip dysplasia, there are barely any large breed ones that possess complete to little resistance to the condition. The Shepherd makes for a great example as the breed is not only likely to easily acquire hip dysplasia but also other complications making it one of the dog breeds vets worry about most! Like us humans, dogs too have ball and socket joints, where the condition of dysplasia occurs. Compared to hip dysplasia, the awareness of elbow dysplasia is much lower. An important factor for causing lameness in your large breed pet dog, elbow dysplasia is the malformation of the elbow joint. This malformation can cause internal injuries like inflammation of the joints and the deterioration of the elbow’s protective cartilage. A common neurological syndrome in large breed dogs that drastically affects their gait, the Wobbler Syndrome a.k.a. cervical spondylomyelopathy is a painful condition of the cervical spine. The pain is most obvious at the neck of dogs who have acquired it. Rottweilers, Mastiffs and Dobermans are highly receptive breeds of the Wobbler Syndrome. To understand better, the syndrome is essentially the misalignment of a dog’s vertebrae making it one of the extremely concerning big dog health problems. As humans, we are well aware of the discomfort that bloating causes. Dogs, large breed ones particularly, too face the condition of bloating or gastric torsion. This condition causes their stomachs to dilate and then rotate or twist around its short axis. This twist or rotation first leads to the disability to burp or vomit, then blocks blood supply to the stomach. Sometimes blood supply to the spleen too is observed. The worst outcome could be shock and sometimes even death! Affecting every breed of large dogs, this is strikingly one of the notable old great Dane health problems. Weakness in heart and the lack of ability to pump adequate blood is what dilated cardiomyopathy causes. This can prove to be a major drawback for large breed pet dogs and their owners given that by nature large breed dogs are more active. The condition further entails exercise intolerance, difficulty in breathing and coughing among several others. Not just the dog breeds with worst health problems, but absolutely any large breed dog can acquire dilated cardiomyopathy. While the above are some of the most common conditions a large breed dog is vulnerable to, their size entails a bunch of other problems too. Having said that nothing can take away from their large hearts and genteel personalities. Above all, there’s little that some love, care and TLC cannot heal!